Ships, as the mechanical giants of the seas, capture the imagination of the public and it is all too easy to overlook the very real human element of shipping. Everyday, millions of seafarers keep the worlds ships on course and on schedule; so that you can get the fruit you want at your local supermarket when you want them. Seafarers are those that can be separated from their families and friends for as long as a year; working onboard ships, taking part in the ship's operation and maintenance. These trained men and women work as a team onboard a ship in a hierarchy that starts with the Master, or Captain, at the top and the Able Seamen at the bottom. 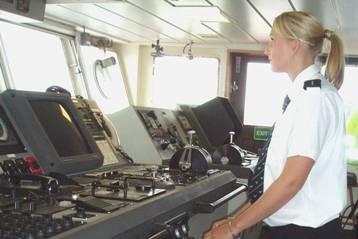 Every seafarer, whatever ranking, has an important part to play in the operation and running of the ship. Collectively these seafarers make up the crew of the ship. Often seafarers will find employment through specialist crewing agencies spread throughout the world. Seafarers oversee the general operation of the ship from engineering, navigation and catering to repairs and maintenance work. They keep the ship running from one point to another, ensuring that the precious cargo onboard is delivered on time and that the ship is kept in a good condition. Amazingly there are more seafarers on the seas at any one time than there are people in the whole of Luxembourg.